Ride Shotgun in a Camaro SS Drag Car at speeds over 100 MPH! 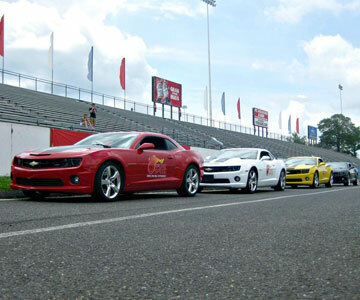 Cross Drag Racing off your Bucket List with this affordable Ride-Along! Ride Shotgun in our Camaro SS Drag Cars, hit over 100 MPH in the ¼ Mile! Participants must be 16 years of age with valid drivers license. Participants between the ages of 16-17 must have a parent or legal guardian present.